Researchers reporting in Current Biology on October 18 have described a remarkable new species of fish that lived in the sea about 150 million years ago in the time of the dinosaurs. Scientists said on Thursday they have unearthed in southern Germany the fossil of a fish that, with its mouth full of razor-sharp teeth, strongly resembled today's piranhas, the stars of more than their fair share of Hollywood horror films. According to the worldwide team of researchers, the characteristics of the ancient sea creature's teeth suggest that it may have had a feeding style that is similar to that of modern-day piranhas, which are known to have incredibly sharp teeth for biting chunks off of their prey. The early piranha-like fish probably fed in the same way as modern piranha, according to the paper published in Current Biology. The species has been named Piranhamesodon pinnatomus, and if you couldn't tell from its name, it was a lot like a piranha. 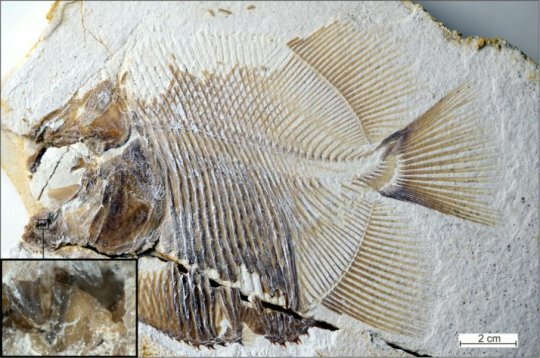 The 150-million-year old remains of the world's first flesh-eating fish have been found in a German quarry. "We have other fish from the same locality with chunks missing from their fins", said David Bellwood of James Cook University in Australia. They were able to use CT-scans to look at the fossilized fish and estimate characteristics such as bite force and then compare them with modern-day piranhas. 'The new finding represents the earliest record of a bony fish that bit bits off other fishes, and what's more it was doing it in the sea, ' said Dr Bellwood said, noting that today's piranhas all live in freshwater. "Fish as we know them, bony fishes, just did not bite flesh of other fishes at that time". Before this recent discovery, it was thought that bony fish from the Jurassic could only crush shells or swallow their prey whole; but this new find clearly had the maws for gobbling on the fins and flesh of fellow swimmers. Some of the incisors even came with serrated edges, just ideal for slicing flesh or fins, the researchers report. Piranhas attack other fish and tear chunks out of their fins and fin bases. "This is an awesome parallel with modern piranhas, which feed predominantly not on flesh but the fins of other fishes", Bellwood added in the statement. "It's a remarkably smart move as fins regrow, a neat renewable resource". "Feed on a fish and it is dead; nibble its fins and you have food for the future", Bellwood added. Piranhamesodon was small, but its mouth was worthy of a scary movie. Scientists say the "remarkable" bony fish lived in the sea at the same time as the dinosaurs roamed the earth and had teeth like a piranha, which it used to bite off chunks of flesh from other fish. Piranhamesodon pinnatomus, 2.8 inches (7.1 cm) long, from the Late Jurassic of Ettling, Solnhofen Archipelago, Germany. Schumer compared opposing the NFL to opposing the National Rifle Association. "Stand up for your brothers and sisters of color". Trainwreck star Schumer also said she would not participate in any commercials that would air during this year's Super Bowl. After the incident, MI linebacker Devin Bush tried to ruin the turf by running his cleats over the Spartan logo at midfield. Dantonio disagreed with Harbaugh's assessment. "And Coach Dantonio was 5 yards behind them smiling". The south coast rivalry has been growing between the two clubs in recent years and Howe thinks it could get even bigger. Whatever it is it's about winning and the longer term picture will take care of itself. Meanwhile, Prince Harry was dressed in a black shirt Invictus Games and grey trousers . Harry and Meghan made their debut as a couple at the 2017 Invictus Games in Toronto. 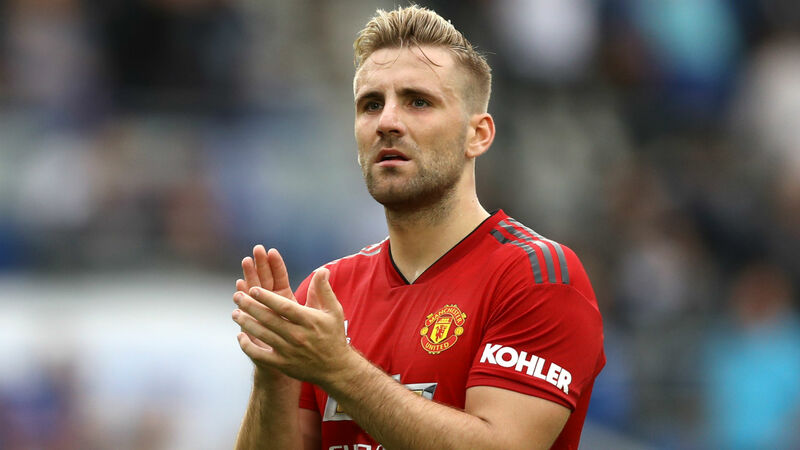 After parting ways with the Reds in 2009, the winger has since had spells at Pune City, Tampines Rovers and Billericay Town. Jermaine Pennant once played in a Champions League Final for Liverpool against AC Milan. The incident has grown into a public relations nightmare for the kingdom and the crown prince in particular. Trump said he found Saudi Arabia's explanation "credible" and described it as an important first step. Kardashian responded: "Well, I thought that for Paris it was explosive and a super lot of attention for her too, in a positive way". The Celtics will rest Hayward as he continues to recover from the left ankle injury he suffered in last season's opener. New York Knicks rookie Kevin Knox left Saturday's game against the Boston Celtics with a left ankle sprain. No other officers are hurt and police could not confirm whether or not shots were fired or if any suspects were shot. The suspect has been described as a black male, about 6 feet tall, wearing green sweat trousers and a gray T shirt. Mais je me dis aussi que si je fais rentrer un milieu supplémentaire et que j'ai un blessé cinq minutes plus tard, on finit à 9 contre 10 contre Paris. On ne sait pas combien de personnes y sont enfermées, ni si elles sont autorisées à en sortir quand elles le veulent. Etats-Unis et le Comité des Nations unies pour l'élimination de la discrimination raciale. Touché au coude droit contre Séville , Lionel Messi sera absent face à l'Inter, mercredi, et contre le Real Madrid le 28 octobre. Se tenant le bras droit avec sa main gauche, Messi , très grimaçant, rejoint le banc barcelonais . Sure, Bosa focusing on the draft will hurt Ohio State's defense, but Urban Meyer's team still owns a 7-0 record. Bosa had been confirmed to be working out individually at the team's facility. YTD calculations are commonly used by investors and analysts in the assessment of portfolio performance due to their simplicity. This is very handy information for corporate investors and stock traders for making wise decisions regarding online trading. A blazar is an active galactic nucleus that expels energy in a direction near Earth, causing it emit a bright light. Scientists found a ideal place in space for Godzilla based on the kaiju's own attributes.